Before the days of modern packaging, the simple jug was the only vessel available for fetching, storing or serving liquids. Although jugs from the 18th century are scarce, those from the 19th century have survived in large numbers. Consequently, many are affordable, and it is very possible to put together an impressive collection. This book introduces the decorative techniques which were used, with an emphasis on the sprigged, printed and molded wares which have survived in such large numbers. Numerous detailed black and white photos depict the wide variety of jugs. 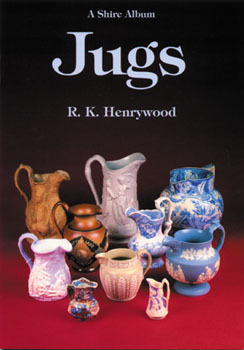 This informative new book will be essential to collectors and those interested in the history of antique jugs.